All 9th, 10th, and 11th grade students at BCHS will be taking the PSAT on Wednesday, October 14th. This test is approximately 3 hours and will take place at BCHS that morning. For 11th grade students, this test is especially important because this is the first step in participating in the National Merit Scholarship process. All colleges and universities actively seek out and recruit students who do well on the PSAT and later on the SAT. BCHS offers this exam for 9th and 10th grade students as a real and timed practice because studies have shown that the more opportunities that student have to take the test, the better they perform. If you have questions about PSAT, please contact Mr. Roberts in the BCHS office. Last year we changed from a PTO to a PTSO (Parent, Teacher, Student Organization). 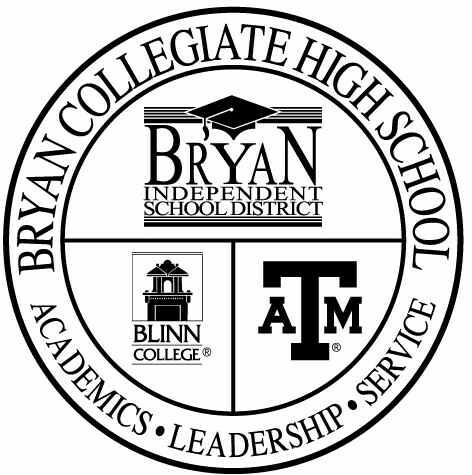 We want to encourage students to get involved with the parents and teachers of Bryan Collegiate so they can be a part of the decisions and fundraising for their school. Participating in the PTSO great way for students to earn the community services hours they will be required to have by graduation. PLEASE SPREAD THE WORD TO FAMILY AND FRIENDS TO EAT OUT AT THE RESTAURANTS ON THE NIGHTS WE ARE HAVING PROFIT SHARE. ALSO SPREAD THE WORD ABOUT OUR CARWASH! 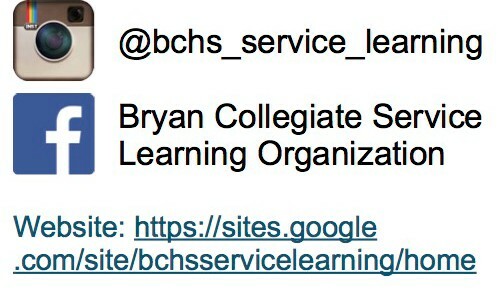 Follow us on Facebook (Bryan Collegiate High School PTSO) to keep up with all our events. Students, be sure to read the service learning weekly news to get information on opportunities for community service. Don't forget you must earn 100 hours of community service by graduation! You can find information on instagram, facebook and their website! Running Club Off to a Great Start! 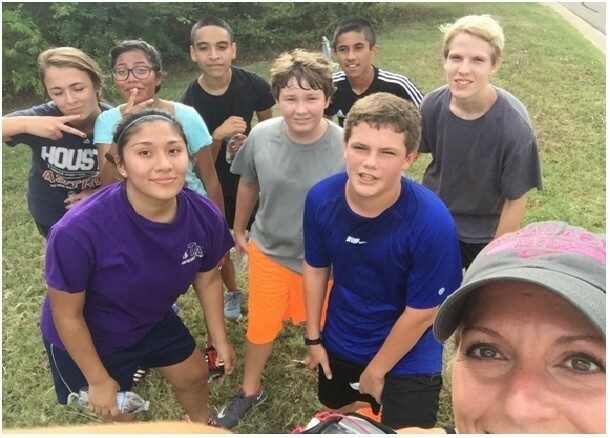 BCHS Running Club has been hitting the pavement all month, logging in over 15 miles since September 9th. Attendance fluctuates between 7-17 kids each time with ALL speeds represented. We have kids who are in soccer who are using the Running Club as for conditioning and others who just want to get some exercise. We meet every Monday & Wednesday and run an average of 2.5 miles each day with the goal to increase to 5 miles twice a week by December. We will be running in some local 5K and ½ marathons this school year however these races are not mandatory to participate in the Running Club. As the teacher who facilitates this club my goal is to keep kids healthy through movement!!! If your student is interested in joining all they need is a current physical and a pair of running shoes. If you have any questions direct your student to me in room 303 or email me at amy.ceaser@bryanisd.org. 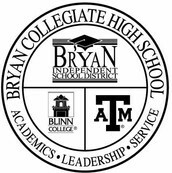 15 underclassmen will represent Bryan Collegiate at a day-long leadership retreat with the Youth Way Leadership Cabinet. 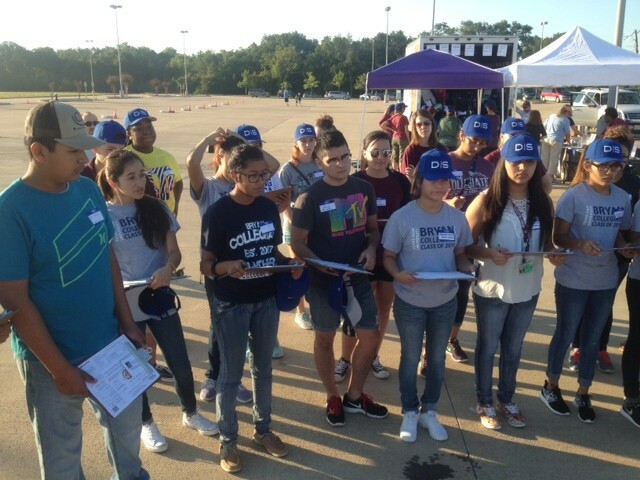 During this time students will learn how the United Way of the Brazos Valley works to bring together people and resources to address issues in our community and change lives. Students will visit non-profit agencies affiliated with United Way and see the first hand work that they are doing. Did you know that BCHS is open almost every Saturday? Saturday school runs 8:00am - 12:00pm almost every Saturday. Students can meet in room 101 to have a quiet place to work with computer/internet access. This year we are excited to announce that our Aggie Mentors will be working Saturday mornings to tutor students who need help. Talk to Mrs. Probe for details! The debate team has had a strong start with double digit attendance at each meeting so far and we're excited about our first tournament coming up on October 24th at Holy Trinity Catholic in Temple, TX. (Competitors from the drama club will be joining us at that tournament as well.) We had officer elections on Monday, October 5th. Congratulations to the following officers! 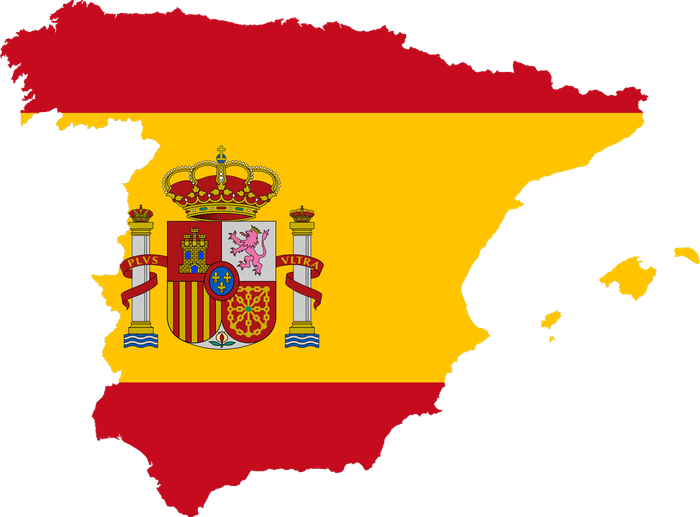 The Spain trip is up to 18 now! The price for October will increase by another $75 so the earlier students sign up, the better. See Mrs. Probe with questions and/or visit www.eftours.com/1725639XW to enroll! The BCHS Soccer team (also known as Bryan Collegiate Fútbol Club) held tryouts and has selected 28 talented players and 2 managers for the Varsity Squad. The coaches are currently putting together a challenging schedule for the 2015-2016 season. 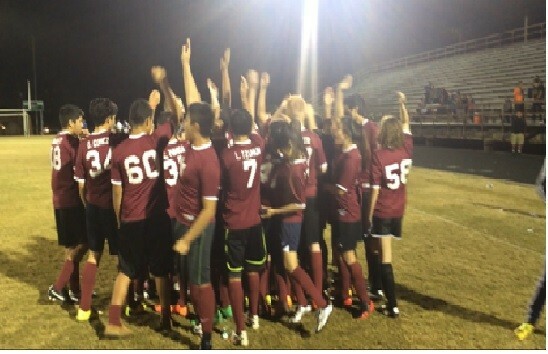 The team was undefeated last year, so expect an exciting season! Players not on the Varsity Squad are still welcome to attend practice with the team on Wednesdays as long as they are passing their classes and have a current physical on file. Practice and game dates will be announced in the weeks to come. 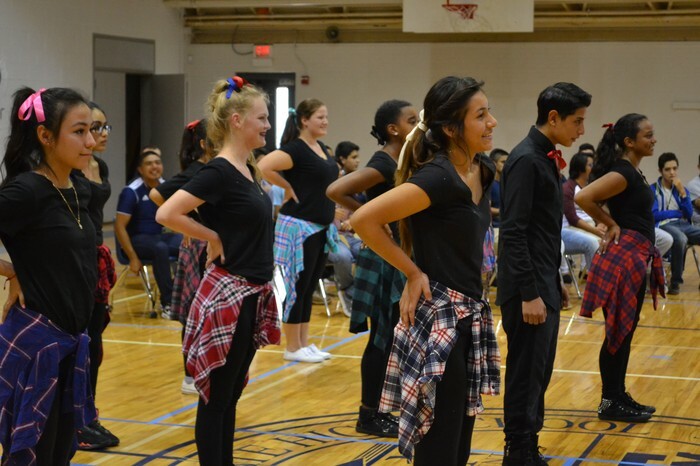 The Dance Team did their first ever performance at our first pep-rally of the school year last week. This school has never has a Dance Team until now! They all rocked the pep-rally and truly showed the best leadership and school spirit ever! As their coach, I could not be more proud. I got complements from all over; the best one they got was that "it truly felt like a real pep-rally for the first time ever." I cannot express enough how amazing they did and how proud of them I am! Welcome the first ever Bryan Collegiate High School Dance Team and congratulations on being a part of traditions in the making. Parents, come out and watch our next pep-rally and see what it is you have been missing! We are always excited when our parents get more involved in school activities. In order to participate we ask that you please complete the parent volunteer form. If you have already completed the form at another campus you do not need to fill it out again. Click the link below to access the volunteer form or go to http://tinyurl.com/prklgum . Thank you for your continued support! November 1 - Daylight Savings Ends! Set your clocks back 1 hour!